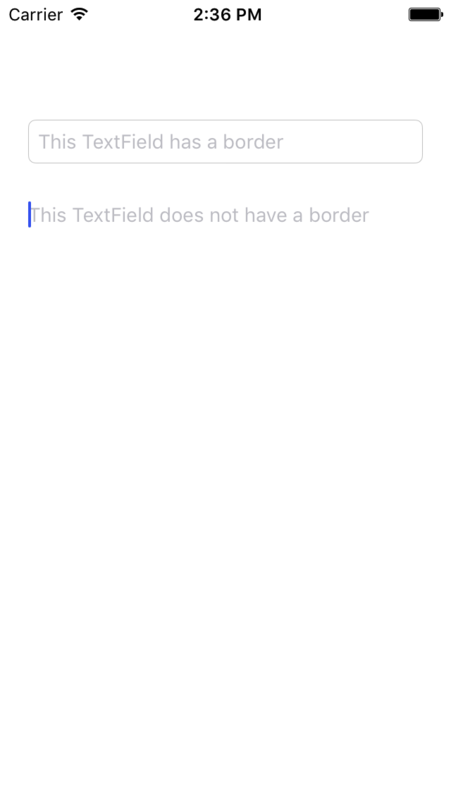 The other day Geoff was working an iOS project and asked me if there was a way to hide the border on an iOS Text Field. It turns out that this is pretty easy. Here’s how. If you go to the iOSTextField page in the Xojo Dev Center, you won’t find a property to hide or change the border. However, that page does have a link to the native iOS control that Xojo uses behind the scenes: UITextField. I clicked that link to get the Apple Dev Center docs for UITextField. I now have enough information to write a simple Declare command to use this property to change the border. But there is one trick to remember. Since this is a computed property you have to alter the property name to include “set” at the beginning and change the case accordingly. (My understanding is that this is because it is really a method behind the scenes.) So the name being called is actually “setBorderStyle”. Since this is referring to a UI control, the library is “UIKit.Framework” and the Declare needs to pass in the handle to the TextField (as a Ptr) and the border style (as an Integer).